Drain excavation is one of the methods used to fix drainage problems and is typically used when there is no alternative. It is a process that involves physically digging a hole or trench to the drainage pipes that need to be repaired or replaced. It is important to note that this method involves the possibility of damaging whatever is above the problem area. When Do You Need Drain Excavation? 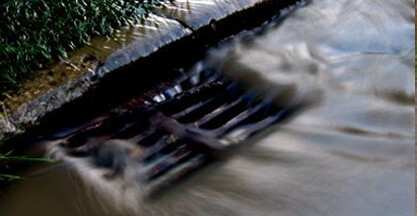 Most of the time, our technicians are able to fix blocked drains and other issues remotely. Using our jetting equipment and other high-tech tools, there is typically no need for us to physically access the pipes themselves. However, there are some instances where the issue is so severe that the only option is drain excavation. 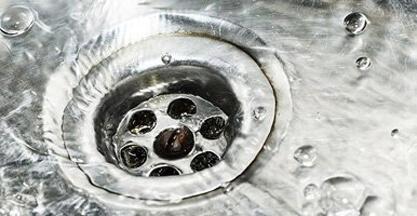 The drain in question might be old and in poor condition, or there might be multiple leaks that require the whole section of pipe to be replaced. It may even have become entangled in tree roots, which can prove to be tricky to dislodge from the surface. At Clark Drainage, we don’t just carry out drain excavations haphazardly. 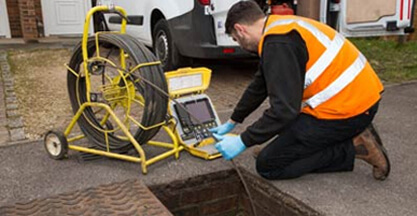 Instead, we carefully check your drainage system using high-tech CCTV survey cameras. Our expert technicians will then be able to see just what’s causing the problem and determine the best course of action to get things fixed. If they deem it necessary to carry out a drain excavation, then they will let you know up-front just how much it will cost and how long the process is likely to take. When you come to us, there are no nasty surprises- instead, you can count on us to get the job done within your budget. How Does Drain Excavation Work? With a drain excavation, there are various steps that need to be carried out before the actual digging can begin. The Clark Drainage team will carefully perform the necessary preparation work to ensure that the excavation itself runs as smoothly as possible. Some of the elements of the process include site assessment, health and safety considerations, the excavation, storage of the excavated material and finally site reinstatement. As we mentioned above, we use CCTV surveys to get to the root of the problem. Once our technicians have discovered this cause, our next step is to examine the area that is to be excavated. It’s essential not to dig at the wrong place, and there may be obstacles that need to be avoided. 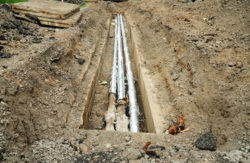 Drainage pipes are often located near other utility lines, such as gas, electricity, and water. The drain excavation therefore needs to be carefully planned so that it does not damage any of these lines. With Clark Drainage, you can be sure that we will correctly diagnose the issue at hand, and plan the excavation work so that nothing goes wrong during this process. Digging trenches is delicate work and brings with it a whole range of health and safety concerns. 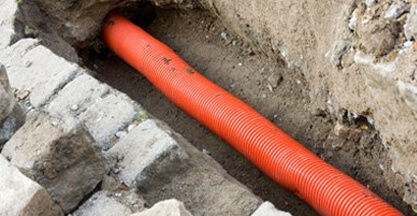 Most significantly, there is the risk of damaging various service connections, such as electrical cables and gas pipes, which could seriously harm the person carrying out the drain excavation. What’s more, there is also the possibility of subsidence if the ground is wet and unstable- in the most dramatic cases, workers could even end up buried on-site. The deeper your drain excavation goes, the more striking safety problems become. With larger excavations, it’s important to be especially careful and put barriers and mechanisms in place that help prevent any accidents. Fortunately, the whole Clark Drainage team possess all the necessary qualifications to ensure they follow safety guidelines to the letter. We always put the health and safety of our customers and staff first, so that you have nothing to worry about when you hire us for drain excavation work. Excavation can be done either by mini-excavators or by hand. While the use of tools does help to get the job done quicker, manually digging tends to be the safest, least disruptive method. It is especially useful when there are other pipes nearby, to ensure that no additional damage is done. Once our technicians have reached the pipe that needs to be repaired, they can then quickly and easily fix the damage or replace this section of pipe with a new one. 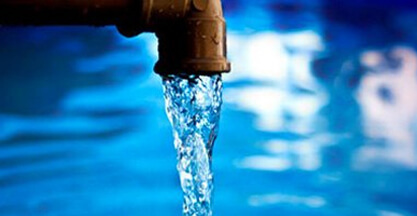 We understand how disruptive it can be to have your water turned off while we carry out these repairs, which is why the Clark Drainage team always work fast- but without compromising on quality. During the drain excavation process, a large amount of material that is dug away will need to be properly stored to keep it safe and dry. Afterwards, it can typically be used for backfilling, so that the excavated area is restored to its former appearance. However, if the material cannot be used, it should be disposed of responsibly in a way that it does not become a hindrance or an environmental problem. After excavation and repairs, the final step in the process is site reinstatement. We plan this out from the very start so that once the repair work is done, we can quickly restore the affected area back to normal again. The trenches are all carefully dug to make it as simple as possible to reinstate the site at the end. Concrete, poles and tiles will all be replaced to the position they were. The area should therefore look neat and well covered up after the process is complete. Drain excavation is necessary only when there is no other option available. This is because it is not an easy task; it requires a lot of safety measures to be put in place and can be quite expensive. It therefore should be used only as the last option; if the problem is extreme and other methods have failed. Here at Clark Drainage, we have a wealth of experience in all aspects of drain repair, from quick fixes to full excavations. 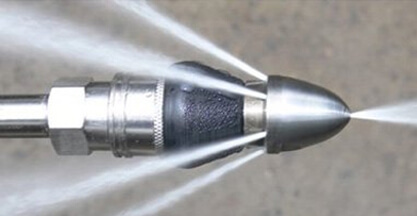 We have the knowledge required for the job as well as the technical equipment and personnel to solve all your drainage issues. Contact us today on 0808 164 0776 for a FREE survey, and to discover for yourself just what we can do to help you.